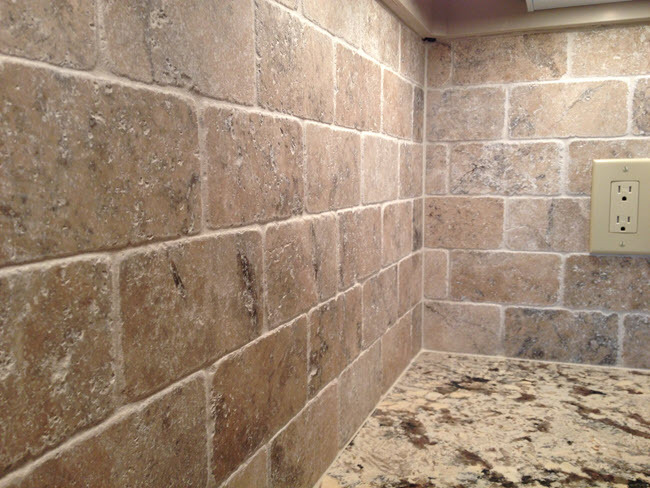 As you might imagine, we love celebrating milestones especially when they reflect hard work and appreciation for the importance of installing tile correctly the first time, adhering to tile installation standards and methods, and generally making Qualified Labor meaningful. Here's a perfect example: Alex Smith who, after not completing the hands-on portion of the Certified Tile Installer program test in 2015, returned, passed and became CTI #1500. That's a milestone from many perspectives. 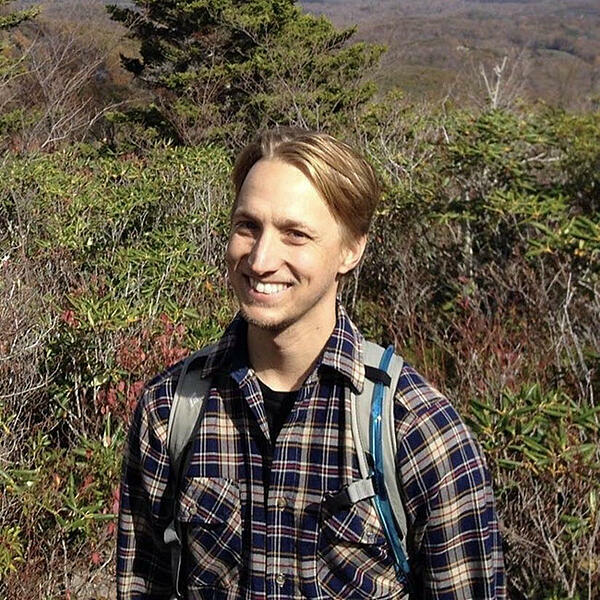 We caught up with Alex to learn more about him and his love of tile installation. CTEF: Alex, what is your background? AS: I was raised in Columbus Ohio. As the eldest of five siblings we had a culture in our household of pitching in to help do the chores of daily life. I began taking on various jobs, such as newspaper routes, yard care, etc. at an early age. With many artists on both sides of the family there was always an appreciation for art, music, dance and creative thinking. My formal education was through the arts and dance in particular. I began extensive training in classical ballet as a teen and went on to pursue a BFA and MFA in contemporary concert dance. CTEF: How did you get started in tile in 2005 and how did John Buford of the Stone Cavern influence you? AS: As often with artists we must have other work to generate income. For many years I was in the restaurant business. Around 2005 I moved to the northwestern mountains of North Carolina and was looking for a change from the restaurant industry. Through mutual friends I was referred to John Buford who was looking for a helper for his tile installation business. I remember in my initial phone call with John he asked me if I knew how to mix mud. I replied, no, but said I can bake a cake. That was the beginning of a thirteen-year relationship that continues to this day. As I was becoming acquainted with John, he was in the process of securing space to open a showroom. As John moved his attention to the Stone Cavern, I quickly picked up the installation trade and became his primary installer. Now operating as an independent contractor, I still do many installs for John. CTEF: Alex, tell us about Installations by Alex. AS: In 2007 I established Installations by Alex, so I could engage more fully with my clients as an independent entity. This has allowed me greater freedom in the range and scope of the projects I take on. Working primarily as a solo craftsman I have the flexibility to do projects large and small and I enjoy the variety. CTEF: What makes specializing in luxury homes particularly demanding from a tile perspective? AS: Living and working in a resort community the majority of my projects are in the luxury home sector. I find it quite satisfying to walk in to a space that is bare-studded walls and leaving once it is a gorgeous bathroom ready for use. 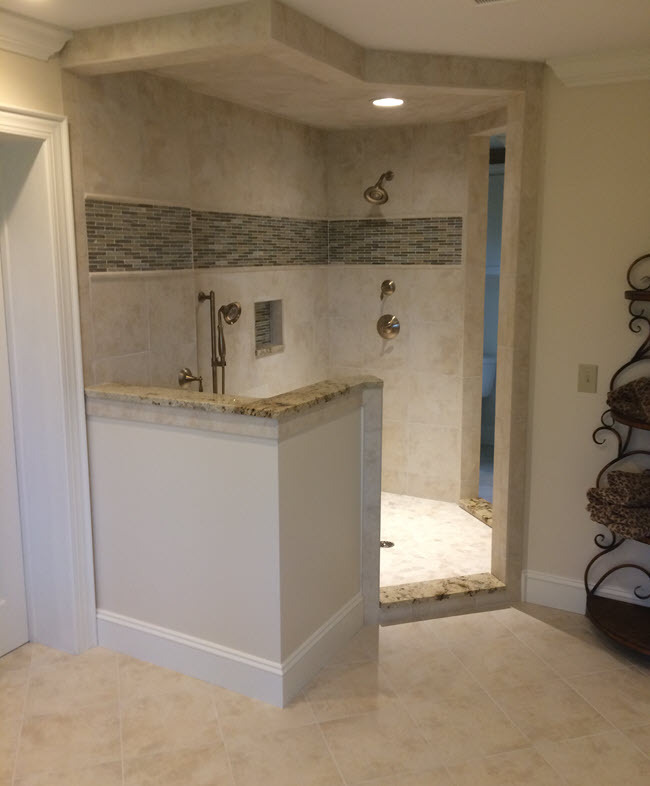 I have been quite fortunate over the years to develop a clientele that recommends me to others, as well as General Contractors who continue to use my services repeatedly. Currently the majority of my work is being done under the umbrella of Dacchille Construction. 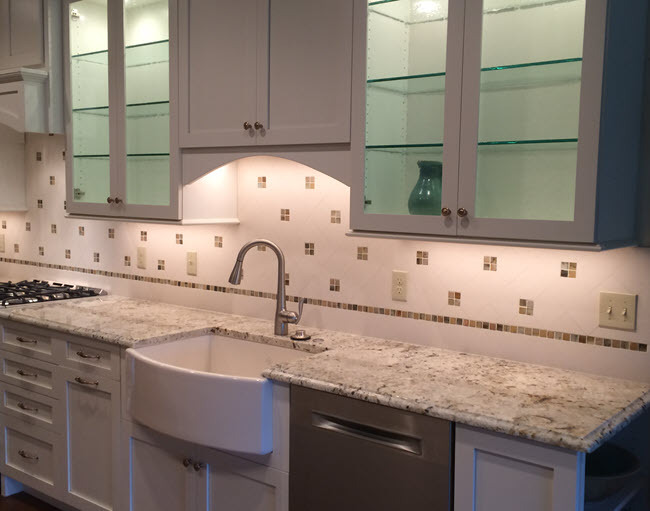 Bill Dacchille and his team have been full-time in the building industry for 15 years and have built 75+ new homes and 100+ remodels/renovations. Dacchille Construction is wonderful to work with, often bringing me onto a project early in the process to consider details and ensure that the install runs as smoothly as possible. 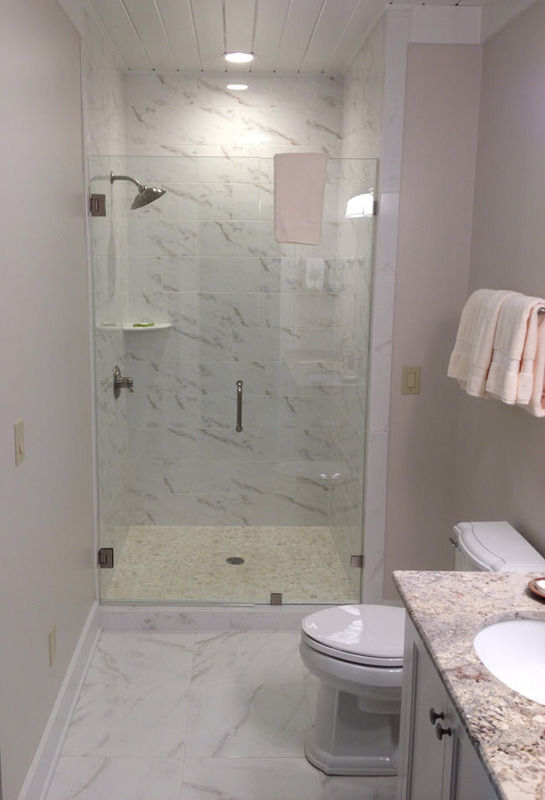 CTEF: What do you love most about installing tile? AS: For a number of years I considered tile work as just another side gig from my artistic life. At some point along the way I started understanding how it had become an extension of my creative potential. I love creating spaces that have a visual sense of flow considering how pattern, line, and balance support the energetic feel of how a space might be experienced. CTEF: Why did you want to become a Certified Tile Installer? AS: Maintaining a high level of ethics and quality of craftsmanship has always been a part of my nature. Becoming a CTEF Certified Tile Installer was a way for me to continue my education and cross-check my knowledge and abilities with a non-biased set of standards. CTEF: What was the hands-on test like? Any surprises? AS: The written and hands-on examination are both thorough and intense. Contrary to my expectation, the hands-on is by far the more challenging portion of the test. I was fairly confident in my quality of work going into the hands-on test. What I was not expecting was the difficulty in completing the assignment in the allotted time frame. Even considering the small size of the area defined by the test it is rare that I must complete all phases of an install in one continuous session. I was unable to finish the hands-on test and receive a score on my first attempt. CTEF: What’s your advice to someone who doesn’t think it’s important to be a CTI? AS: Though the national standards have been in place for some time, the lack of an agency to educate and accredit installers has allowed the quality of installation work in the industry to be sporadic at best. The CTI is a tool that I am using to assure my clients that they are not just taking a "chance" with their tile installation project. My CTI helps to validate that I care about the quality of my work and want to provide a product that has a sound foundation for longevity of use. CTEF: What's your reaction to being CTI #1500? AS: After my failed attempt at the hands-on test in 2015, it was three-plus years before I found the time and impetus to try again. Though equally as intense as the first time, I really enjoyed myself during the day of the test and left the site feeling good about my performance. Little did I know that CTEF was approaching the milestone of their 1500th CTI. I was completely delighted to receive the call from Scott informing me that not only were they close to this goal but that I was in-fact the 1500!! I am quite grateful for this honor and look forward to how my new certification continues to evolve my experience. CTEF: Tell us about Dance Project, Inc. and your involvement. AS: As a part of my ongoing involvement in the arts, I have been involved with Dance Project Inc., and on the board since 2015. I am the current board president. Dance Project is an organization based in Greensboro, NC. The mission is to cultivate the field of modern dance by nurturing a statewide community of artists, audiences, and students by providing opportunities for training, performance, collaboration, and employment. The primary programs of the organization include the School at City Arts, the NC Dance Festival, and the preservation of the Jan Van Dyke choreographic archive. Along with ARTsGreensboro, Dance Project also coordinates the dance performance series at the Van Dyke performance space in the Greensboro Cultural Center. CTEF: Alex, what’s the best way to reach you? AS: You can reach me on Instagram @g.alexsmith. CTEF: Alex, thank you and congratulations on becoming a Certified Tile Installer! 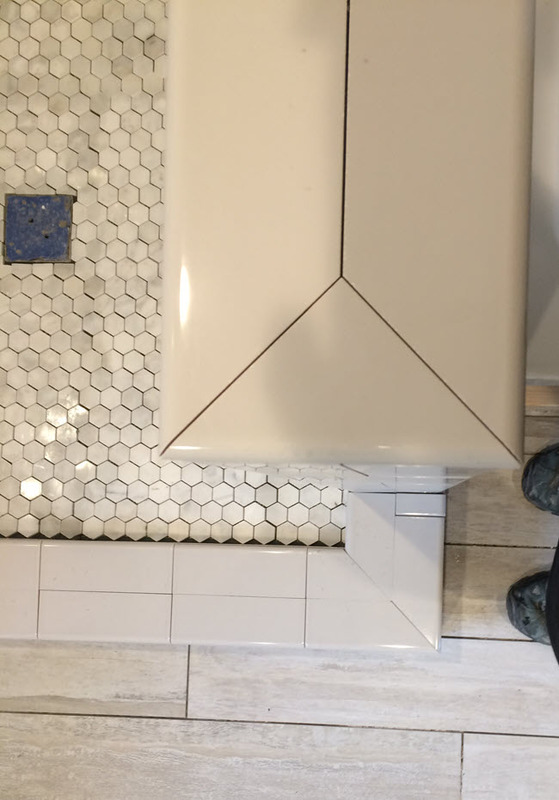 Are you ready to validate your skills as a tile installer? Become a CTI like Alex Smith.